CONCERNS about overtesting or overdiagnosis in medicine are not unfounded. In terms of pathology testing, tests need to have a clear benefit to the patient and medical team and any risk associated with tests must be balanced against this. It has been recognised for some time that sampling for laboratory testing can cause substantial blood loss in hospitalised patients, particularly in the intensive care setting. However, this is not necessarily due to overtesting but related to the volume of blood obtained for laboratory tests combined with the required frequency of sampling (here and here). The risk level of pathology testing is usually low. Despite research showing that underutilisation of pathology testing is more prevalent than overutilisation – a 2013 meta-analysis by Zhi et al notes a pathology underutilisation rate of 44.8% with overtesting being lower at 20.6% – discussions still seem to focus on overtesting and overdiagnosis as the issue. One reason that discussions seem out of step with what is shown in the literature is that overtesting has been studied more, and is perhaps easier to study. The researchers themselves recommend more research in this area. The risks of missed diagnoses or misdiagnoses are obvious, but the value of normal results is harder to quantify. A negative or normal result is not useless. It rules out a possibility so that other diagnoses can be explored or can provide peace of mind to a patient. It may be easy to see these results as overtesting, particularly from a patient perspective (and even more so if tests incur a cost), so understanding more about tests and how results are used by doctors is helpful in managing patients’ expectations and emotional wellbeing. Informed consent is important. When a test request is made, the patient needs to understand why the test is being ordered and what information it can (and cannot) provide. Information provided by doctors in answering patient questions and explaining tests can be supported by signposting to accurate resources such as Lab Tests Online and the Know Pathology Know Healthcare initiative. With the changing make-up of Australia’s population, tests that may previously have been performed infrequently are now becoming more common and essential for individual patient care and public health. Diseases prevalent in other countries but rarely seen in Australia can appear due to migration and overseas travel and pathology testing is vital in confirming a diagnosis. This is also the case for outbreaks affecting other countries, as seen with Ebola and other pathogenic viruses that could potentially have catastrophic effects in Australia if not detected quickly. The rise of the antivaccination movement is also a concern as diseases that had been largely eliminated in Australia begin to re-emerge. The World Health Organization warned earlier this year that measles outbreaks in the United States and Europe are in part due to vaccine aversion. Over the festive period, concerns were raised over measles cases in several parts of Australia, even though the disease has been confirmed as eradicated in Australia due to vaccination programs. Measles is one of a number of notifiable diseases, meaning laboratory-confirmed cases are reported to the National Notifiable Diseases Surveillance System. This allows health authorities to track numbers and the spread of the disease and facilitates rapid responses that may be needed to protect the public from contagious diseases. The strength of this system relies on diagnostic tests being ordered by clinicians, and swift and accurate reporting from pathology laboratories. Reluctance to order tests for notifiable diseases weakens the system and has the potential to endanger public health. With highly trained staff, strict accreditation and quality assurance programs, and delivery across a huge geographical area including remote communities, Australia’s pathology services are world class. Being laboratory-based, diagnostic pathology staff rarely meet their patients, but their expertise is indispensable in patient care. Aside from recommending further tests that clinicians may or may not choose to order, pathology staff have little input into test requests, a fact that may be easily forgotten when questions of overdiagnosis or overtesting arise. For our own good, it is vital that all Australians understand the extensive value of pathology. The beneficiaries of our highly effective pathology services are almost infinite to the patient, their treating doctor, their family and the health system. There is also a huge public benefit derived from the tax dollars saved by an efficient system, the reduction of disease in the community, and the economic and social benefits of a healthier nation. With the emergence and growth of direct-to-consumer testing, particularly in the area of genetics, the overdiagnosis debate will only grow. We cannot know what the future will hold, but the expertise of pathology teams in this debate is vital, as is their continuing dedication to the best patient care from behind the laboratory doors. 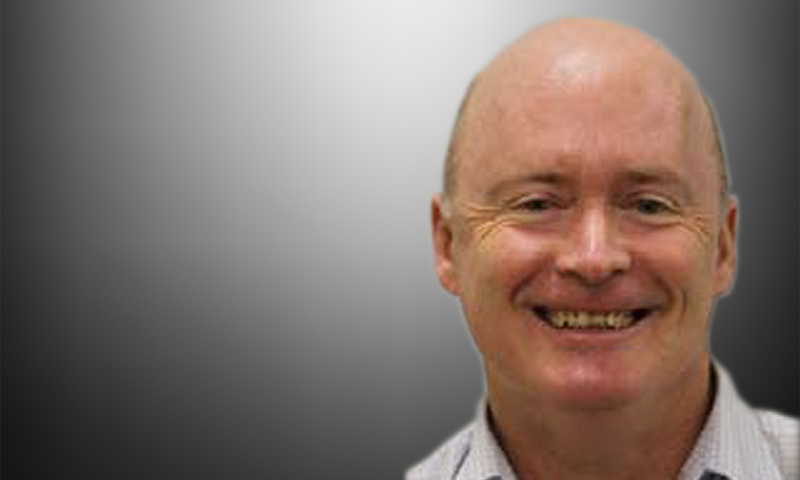 Dr Brian Dale is the program director for the Bachelor of Laboratory Medicine (Honours) program and senior lecturer in haematology at the School of Pharmacy and Medical Sciences, University of South Australia. He has extensive experience as a medical laboratory scientist in haematology, specialising in transfusion and haemostasis. He is a Fellow of the Australian Institute of Medical Scientists and has a PhD from the Department of Medicine, University of Western Australia. What Dr Dale left out of his article is the economics of pathology teating with respect to non-public universities or hospitals! The Howard/Costello government in the early 1990s introduced the ‘coning’ of all requested GP pathology requests so that only three (3) are reimbersed by a Medicare rebate paid to the testing laboratory per visit to a GP. This was done ostensibly claw back healthcare money to pay off the massive fiscal debt left by Labor. This restriction on GPs only is STILL IN PLACE over twenty years on! It has now got to the point where non-government laboratories are finding it more and more difficulkt to carry the cost burden of all these extra ‘free’ tests! Unfortunately, virtually no GP is aware of this absurdity. Imagine trying to run a General Practice where Medicare can only be billed for three out of five to ten patients who walk through the door! Undertesting undeed is fervently what the Federal Government wants. How can testing laboratories police GP testing practice. Ludicrous.